Volcano box is the famous flashing box for Chinese phone, which supports almost all kind of CPUs. Though it is specially for Chinese phones, it supports flashing and unlocking of Samsung phones also. It also supports other famous brands like ZTE, ALCTEL, HUAWEI etc. Volcano box also supports unlocking of HUAWEI modems. Volcano box support all major Chinese e.g. MTK, Spreadtrum, MSTAR, W CPU, COOLSAND, and many others. One best feature of Volcano box is, it support automatic detection of CPU, so if you don’t know the exact CPU type of your phone, you can use Auto Detect feature of this box. If you face any issue in downloading the tool, installing the tool, or any other problem, please leave a comment. We’ll try our best resolve your issue as soon as possible. How to download latest version of Volcano box for free without any password. 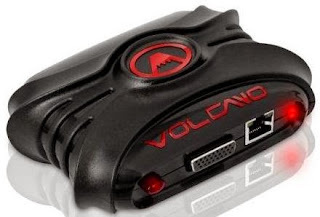 Volcano Box v2.2.9 Full Version Free Download without password. Free Full version of Volcano Box without password. How to download Free Full version of Volcano Box without Virus.